Lower Delaware. Located in south western New Jersey, primarily within parts of Burlington, Camden, and Gloucester counties. 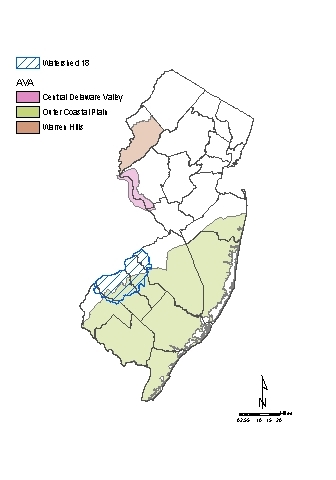 Approximately 1/3 of the WMA falls within the Outer Coastal Plain AVA.